You need to reduce your L&D budget without compromising employee engagement. Rewards and game mechanics may be your best bet. In this article, I’ll highlight 9 unexpected benefits of compliance online training gamification. You’ve probably already read about how gamification surges in popularity and how countless organizations are now using it in their L&D programs. 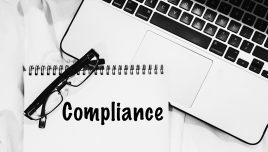 However, you’re still undecided about whether it’s the right approach for your compliance online training course. After all, you’re working with limited resources and tight deadlines. Plus, you don’t want to diminish the value of your online training by putting entertainment above education. Here are 9 convincing reasons why you should gamify compliance online training. Gamification isn’t just about incentives. In fact, it gives you the ability to incorporate more organic feedback into your compliance online training. Employees receive immediate feedback regarding their performance so that they quickly identify gaps. For example, they don’t receive the maximum number of points for the online training module, but the system automatically tells them why and what they can do to improve. Mistakes can be valuable teachers, and gamification allows employees to make errors minus the risks. For example, an employee is working toward their health and safety training badge. However, they don’t receive a passing grade during the final simulation assessment. The system highlights skills or knowledge gaps they need to fill in order to earn the coveted badge, as well as a list of online training resources that can help them explore a related subject matter on their own. Employees who rise to the top get recognition in the form of gamification rewards. For instance, they get the number one spot on the leaderboard or collect more badges than their co-workers. This prompts them to do even better to maintain the momentum and stay in the spotlight. Thus, they are more likely to continue building vital skills and compliance knowledge moving forward. Giving credit where credit is due goes a long way in mandatory online training. Gamification doesn’t simply reward the top performers. It also gives underperformers the incentive they need to raise the bar. They see that others are one-upping them, which prompts them to do better and achieve their true potential. For example, an employee who typically lacks motivation and drive ends up on the bottom of the leaderboard. They may not be publicly judged by their peers, but they’re likely to be disappointed in their own performance. This triggers them to participate more actively and access the microlearning online training library more frequently. Emotions aren’t usually synonymous with compliance online training. However, you still need to foster that emotional connection to achieve the desired results. Gamification encourages employees to invest themselves in the online training process. They feel more driven to succeed in order to be rewarded for their efforts. 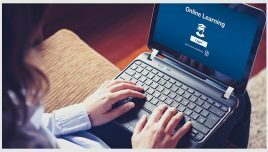 Instead of merely watching videos or reading case studies, employees actively engage with the online training content. An effective gamification compliance online training strategy is based on positive reinforcement. The incentives and mechanics align with the learning objectives and desired behaviors. As such, you should gamify compliance online training to emphasize the real world benefits. For example, to make it to the next level an employee must demonstrate their knowledge in a practical context. For example, they must deal with a customer according to company policy during an online training simulation. This enables them to see how their knowledge base not only helps them move to the next level but also ties into real world applications. Gamification provides immediate feedback to employees, which allows them to identify areas for improvement. But it also helps you identify strengths and weaknesses regarding your compliance online training strategy. This comes in the form of gamification Big Data obtained through built-in reports and analytics. 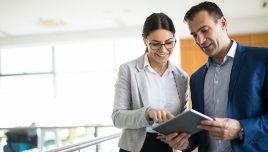 For instance, a low percentage of employees receive their company dress code badge, which indicates that the related online training modules and resources may need some work. Likewise, if a high percentage of employees are breezing through the level-based safety gear course, you may need to up the ante by integrating more challenging online training activities. Everybody gets something out of a gamified online training course. Employees with different learning preferences can access online training activities and resources that cater to their needs. Likewise, corporate learners get to choose which rewards they’d like to strive for and how they’ll acquire the information. To accomplish this, you must implement a personalized gamification strategy that is flexible. As an example, employees who are more competitive and crave public recognition can participate in leaderboards, while those who are more introverted have the option to earn badges or points instead. Investing more money to gamify compliance online training may not seem cost-effective. However, gamification gives you the ability to improve your ROI and retain your top talent. Employees are more satisfied with their online training because it acknowledges their accomplishments. It also motivates them to delve into the process and get the full benefit rather than sitting on the sidelines. All this reduces the risk of compliance violations and helps prepare your employees for every eventuality. Thereby, getting you a better return on your compliance L&D investment. As you can see, there are a variety of gamification benefits that can improve your bottom line and increase employee satisfaction. But you need the right tools for the job in order to achieve the best results. Namely, eLearning authoring software and an LMS that features gamification support. A training needs analysis is also essential to determine how rewards can reinforce behaviors and help bridge gaps. Usage of Gamification for corporate training, particularly for serious learning that is meeting specific learning outcomes, is more than a buzz today. Download the free eBook How Gamification Is Reshaping Corporate Training – Featuring 10 examples to learn how you can use gamification to engage your employees and boost performance, the impact of gamification vis-à-vis traditional eLearning strategies, as well as examples that show the evolution or maturity of usage of Gamification for corporate training.